ASK Real Estate & Financial Services currently manages Homes for Rent, Vacation Rentals in Barbados as well as Commercial Properties throughout the island. Whether you need a home to rent or an excellent commercial or residential property management firm to manage your investment we are available to meet your needs. Just ASK us! ASK Real Estate has been successfully operating in the Property Management capacity for several villas and business houses in Barbados. The team at ASK is dedicated to providing exceptional service, ensuring that all properties are well maintained and updated in an effort to surpass the expectations of our clients. Our villa management services range from general property maintenance, utility and financial management to outfitting new fixtures, appliances and furniture. With our in-depth knowledge of technology and the villa rental industry, we can also effectively manage all marketing for the property ensuring maximum bookings and increasing the villa’s earning potential. Our commercial property management services include the coordination of property maintenance and repairs, tenant communication and correspondence, attending to your accounting needs in virtually any manner if required, and ensuring that your investment is providing the best return possible. Below are a few areas of physical property maintenance we handle. 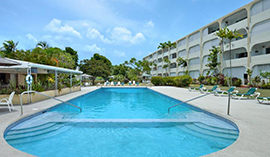 Some of our property management clients include City Centre Mall, Trident House, Golden View Condominiums, Sapphire Beach Barbados, Sandgate House Vacation Rentals and Ocean One Barbados. Whatever assistance you need in the property management area, you can simply ASK us.